Making new friends should be simple. Why not approach the mother you always see at the playground and offer your undying friendship? Because you don’t want to get shot down, that’s why. Today, we’ll unearth the Adult Friendship Problem. We’ll also check out an old school book and a newer release to help you find the friends you deserve. Friendship is important. Good friends make you laugh, bring out the best in you, and lend support in times of trouble. Having supportive friendships as we age was found to be a stronger predictor of wellbeing than having strong family connections, according to new research in the Personal Relationships journal. If you find yourself lacking in the friends department, your first step is to stomp out any sense of shame about your need for friendship. Whatever the reason for your friendship needs, even if it’s that your poor attitude ran everyone off, you can rebound from it. What kind of friend are you? Are you the cheerleader in the bunch? Are you the one who always tells it like it is? Might you be the friend who gives the hugs that make everything alright? Write it all down. But don’t put that piece of paper away just yet. Take a moment to inventory what you want and need in a friend. What kind of friend are you looking for? We want to make new friends, but not any old earthling will do. You’ve already written down all of your friendship qualities, flip the page and write down what you are looking for in a friend. Reflect on relationships in your past. What was good? What was bad? Remember that the type of a friend you desired a decade ago, may be vastly different from what you need now. Are you envisioning impromptu coffee meetups and playdates for the kids? Then you might want a friend who lives close by. Are you balancing a busy work schedule and home life? Do not. I repeat, do not make friends with someone who expects a daily phone call. You’ll both be disappointed. No friend or friendship is perfect. But if you don’t know what kind of friend you’re looking for, you’ll fall for the first person who compliments your new shoes. For some awesome ideas on how How to Make New Friends, check out Jess Metcalf’s article on CultivateWhatMatters.com. You know I can’t leave you without a good book to lean on. I’ve included an old school read and new release for your reading pleasure. 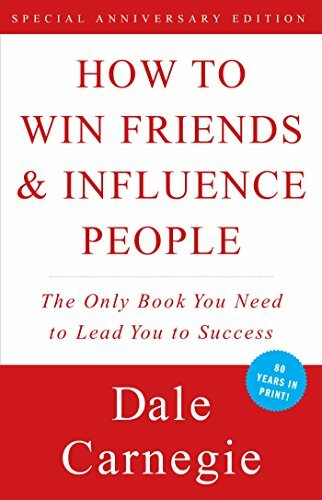 Dale Carnegie’s “How to Win Friends & Influence People” was published in 1936, which makes it a bonafide old school read. It’s one of those books that keeps making the rounds. I suspect it’s longevity lies in the fact that the advice is timeless, and you can put into action immediately. In a section titled “Six Ways to Make People Like You,” Carnegie shares six principles that you can put into action today. For more tips on how to make friends, check out Dale Carnegie’s classic, “How to Win Friends & Influence People“. Book number two is a newer release by Vanessa Van Edwards titled “Captivate: The Science of Succeeding with People“. What gets scheduled is what gets done. That’s true of friendship and anything else you want in life. Set a calendar reminder to show yourself friendly twice a day. Vow to set aside a couple of hours a month to an organization or project where you can do some good, and meet likeminded people. Whatever you do, make time for friendship. It’s vital. If you want a good life, you should put friendship on the menu. This friendship recipe will empower you to make new friends as an adult. Write down all the positive attributes that you bring to the friendship table. Also write down what you need in a friend. This could take up to or exceed 30 minutes. Read Dale Carnegie's "How to Win Friends & Influence People" and/or Vanessa Van Edwards "Captivate: The Science of Succeeding with People." Remember to write your key insights down. This step varies depending on your reading speed. Hey friends: What are your tips for making friends as an adult? Got any book recommendations? How did you meet your best friend? I'm Nicole. Curator and Chief Bookworm. I'm so glad you stopped in. Here you'll find book talk, book reviews, and cool gifts for booklovers (personally curated just for you).